China is unabatedly continuing its oppression and incarceration of Muslim minorities in the country, now forcing them to drink alcohol and eat pork, both of which are forbidden by Islam. 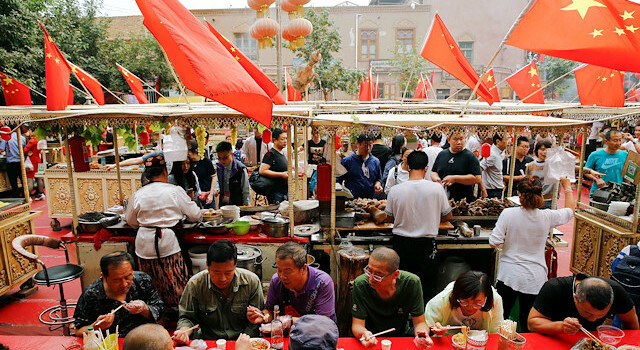 Locals in Xinjiang said that they were being threatened by Chinese authorities with imprisonment in China’s “re-education camps” if they did not attend Lunar New Year dinners where pork was being served, according to a report by the Free Asia Radio. However, China’s oppression and threats don’t stop there as it continues its campaign to assimilate Uyghurs into Han Chinese culture by forcing Muslims to hang up symbols of the Spring Festival, a synonym for the Lunar New Year.